Sony has unveiled two new PlayStation games consoles, the PlayStation 4 Slim and the PlayStation 4 Pro. Unfortunately, neither has been received particularly well, with the former just a smaller, lighter version of the existing console, and the latter being a disappointing leap in terms of technical achievements. The PlayStation 4 Slim (priced at $299), which is essentially just the new standard PS4 Sony PlayStation 4 Review And Giveaway Sony PlayStation 4 Review And Giveaway Ladies and gentlemen, the next generation of video game consoles is here, with the Sony PlayStation 4! Read More , takes up 30 percent less room, is lighter by 16 percent, and consumes 28 percent less power. However, these changes are purely aesthetic, and this model is not capable of doing anything new and exciting, and won’t make games look any better. 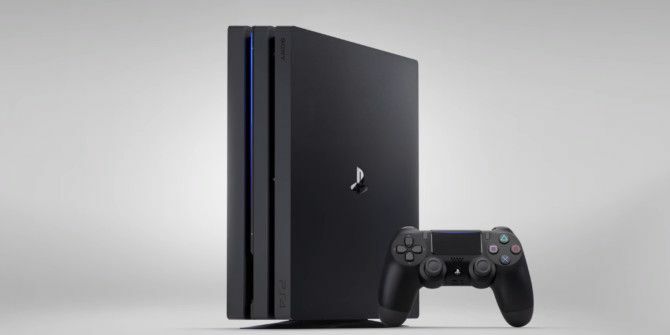 The PlayStation 4 Pro (priced at $399/£349) is a premium version of the PS4, and it is capable of making games look better thanks to support for 4K resolution How to Find Real Ultra HD Content for Your 4K TV How to Find Real Ultra HD Content for Your 4K TV Even after all this time, genuine Ultra HD content can be tough to find -- and your 4K TV is almost pointless without it. Here's a tool you can use to find real 4K media. Read More , HDR (High Dynamic Range), and smoother frame rates. Existing games will receive patches to make them look better, while future titles will have these enhancements built in from day one. Reaction to both new PlayStation consoles has been muted to say the least. The Slim is nice for people who haven’t yet bought a PS4, but no use to existing owners. And the Pro feels rather underwhelming when you consider what Sony could have done with what is effectively a PlayStation 4.5. In other words, it’s good, it’s just not good enough. Unless you’ve been living in a hole for the past week you’ll know that Apple has finally unveiled the iPhone 7 Apple Launches New iPhone 7 With No Headphone Jack... [Tech News Digest] Apple Launches New iPhone 7 With No Headphone Jack... [Tech News Digest] In case you've been living under a rock, we have a brief rundown of the latest Apple event during which Apple showcased the iPhone 7, the Apple Watch 2, and Super Mario Run for iOS. Read More . It’s a very nice phone, available in two shades of black, because everyone likes black. However, in its infinite wisdom Apple decided to ditch the headphone jack, annoying legions of its loyal fans in the process. Oops. It’s patently obvious why Apple has ditched the headphone jack at this stage… Doing so forces everyone to use Lightning headphones, which means Apple can sell its millions of fans some of those fugly AirPods or some crappy Beats by Dre. Not that Apple will admit to such underhanded tactics, of course. So there you have it, Apple fans. If you’re one of the many people to have figured out the cynical reasons behind Apple’s decision to ditch the headphone jack Phil Schiller thinks you’re a paranoid conspiracy theorist Paul is Dead: How the Internet Fueled The Beatles Conspiracy Theory Paul is Dead: How the Internet Fueled The Beatles Conspiracy Theory Did Paul McCartney, legendary musician and member of The Beatles, actually die in 1966 only to be replaced by a lookalike? Probably not, but the "Paul is Dead" conspiracy theory simply refuses to die. Read More . And if you haven’t figured out why Apple has made this change then I think you’re a little bit naive and possibly dumb. So, take your pick! Twitter has added a trio of improvements to its Direct Messages, all of which introduce elements you’ll already be familiar with from other messaging apps 6 Open Source Messaging Apps More Secure Than Skype 6 Open Source Messaging Apps More Secure Than Skype Skype has never been the most safe or secure communication protocol, and after Microsoft took over in 2011, concerns over privacy began to pile up. Can these secure, open source alternatives allay those fears? Read More . From now on you’ll be able to see when someone has read your message (thanks to read receipts), see when someone is writing a reply (thanks to typing indicators), and glance at shared content (thanks to web link previews). This is a big change for Twitter, which hasn’t really made the most of its capacity as a messaging app. However, these changes haven’t pleased everybody, with some complaining that opting people into read receipts by default makes it easier than ever for trolls to ply their trade The MakeUseOf Toolkit Against Online Trolls [Part 1] The MakeUseOf Toolkit Against Online Trolls [Part 1] How many Internet arguments have you witnessed? Or better yet, how many Internet arguments have you participated in? I visit a number of forums and communities on a daily basis, and I see arguments all... Read More . Thankfully, you can disable read receipts without breaking a sweat. The Raspberry Pi Foundation has now sold more than 10 million of its tiny single board computers. The British Company announced the milestone in a blog post briefly explaining how the project started. It was only in February 2015 when the Raspberry Pi Foundation announced it had sold its 5 millionth mini computer, meaning it has doubled that figure in just 18 months. To celebrate having sold 10 million Raspberry Pi devices 9 Things You Wanted to Know About Raspberry Pi 9 Things You Wanted to Know About Raspberry Pi What is a "Raspberry Pi"? Who made it? What's the point? What can you do with it? Let's find answers for all the frequently asked questions about the Raspberry Pi. Read More , the Foundation is offering what it calls “the perfect bundle”. This is the Raspberry Pi Starter Kit, which comprises of a Raspberry Pi 3 Model B (CA/UK), an 8GB SD card (CA, UK), a case, a power supply, an HDMI cable, an optical mouse and keyboard, and a copy of Adventures In Raspberry Pi (CA/UK). And all that for £99+VAT. Bargain. And finally, you’ll probably never own a real lightsaber You Will Never Own a Real Lightsaber, Because Science You Will Never Own a Real Lightsaber, Because Science Ever since filmgoers first saw the lightsaber in Star Wars Episode IV: A New Hope, there has been demand for a real one. Unfortunately, science suggests real lightsabers are an impossibility. Read More like the ones used in Star Wars, because science suggests it’s an impossible piece of technology. However, just imagine for a minute that lightsabers are real, and that we all own one. Would you know how to handle this deadly weapon without injuring yourself and/or others around you? What do you think of the PlayStation 4 Pro and PlayStation 4 Slim? What do you believe Apple’s motives are for removing the headphone jack from the iPhone 7? What do you do if you see someone has read a message but doesn’t reply? Have you bought a Raspberry Pi yet? Could you be trusted with a real lightsaber?